One of the places to stay, if you’re visiting Venetian biennale by sea, is Venezia Certosa Marina. The Marina itself is conveniently located at the intersection of the north Laguna nature reserve and the historical city. The Adriatic and St. Mark’s square are both ten minutes away and other historical cities are less than two hours away from your boat. 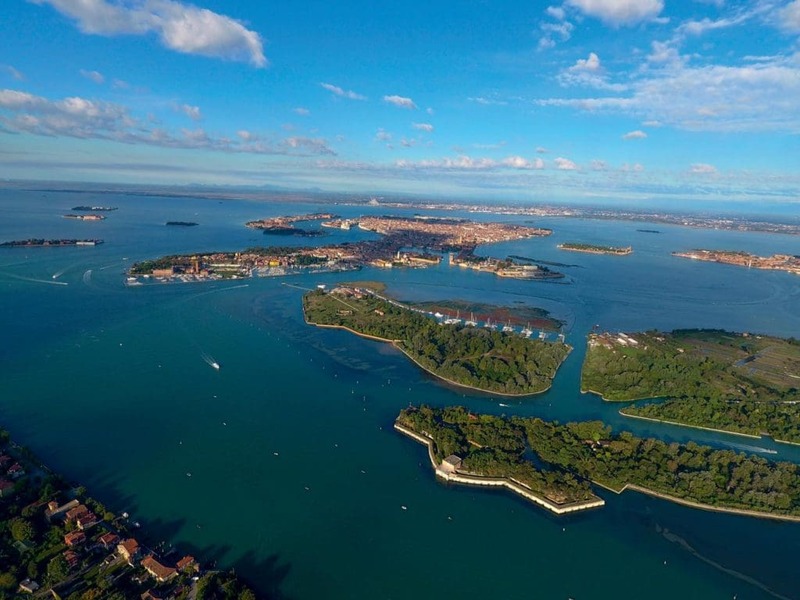 You can explore the Venice lagoon for days and days without returning to the same places twice, sail on calm and enchanting waters, enjoy the nature, the wildlife, the variety of its many islands – inhabited or not, or sail the Adriatic and discover its pearls. If you would like to sail a little further, the marina is only 55 nautical miles from Rovinj, 172 nm from Kornati islands and 310 nm from Dubrovnik. Certosa has been inhabited since the 12th century. Napoleon changed it to a military base but today it has become a city park and nautical center. With 300 berths this is a 24 hectre natural paradise which has been recently regenerated to showcase its valuable natural heritage. The Marina offers a safe mooring place for your boat, with professional sailor help available and security 24/7. You can also leave your boat there for the winter and come on weekends, or live on-board and enjoy Venice all year long exploring the city, its monuments, museums and cultural events such as La Biennale, Festa della Sensa in May, Vogalonga regatta in June, Venice Film Festival or Regata storica in September. The marina provides easy access whatever the conditions and tides, a network of suppliers there to fulfill your every need, regular boat checks during your absence, dry storage (covered or not) and storage of equipment gives peace of mind. Reception will welcome and assist you during your visit, whether you need tourist information, organization of excursions and visits throughout the laguna or tickets for public transport. You can organize your own private events and celebrations such as nautical, cultural and sporting events. For active holidays they organize sailing school for both adults and children, kayak rides throughout the laguna and naturalistic and cultural excursions and walks (Certosa Island and Laguna). Shoreside facilities include indoor or outdoor dry storage, hotel, a restaurant and bar, chandlery, laundry and dry cleaning facilities. The on-site boatyard, where craftsmen build traditional Venetian boats, is also available for maintenance, refits and repairs. One of the advantages is proximity to Lido and its beautiful beaches, golf, tennis, private airport, movie festival each year as well as Biennale Exhibitions (Art and Architecture) with dedicated shuttle services to the other Biennale sites. If you are looking for a perfect place to explore the Adriatic and experience Venice make a stop this summer at Venezia Certosa Marina.